In today’s La Liga match, Rank 18 Sporting Gijon meets Rank 15 Real Betis. The match will kick-start at 4:00 PM UK time will be played at El Molinón. Sporting is in a good form when compare to Betis as they won 2 out of their last 5 matches with 2 draws and 1 loss. On the other end, Real Betis just won one out of their last 5 matches with 3 loss and 1 draw. According to our predictions, Sporting Gijon will win tonight based on the recent performance and the stats of both the teams. This is the last La Liga game for both the teams. Sporting Gijon Playing 11: Cuèllar; Douglas, Babin, Meré, Canella; Álvarez, Vesga, Nacho Cases; Carmona, Castro & Burgui. Real Betis Playing 11: Gimenez; Navarro, Tosca, Pezzella, Durmisi; Brasanac, Petros, Ceballos; Joaquín, Rubén Castro & Cejudo. UK – Sky GO UK, Sky GO Extra. Follow Sporting vs Betis live goal updates on Real Betis official Twitter page. 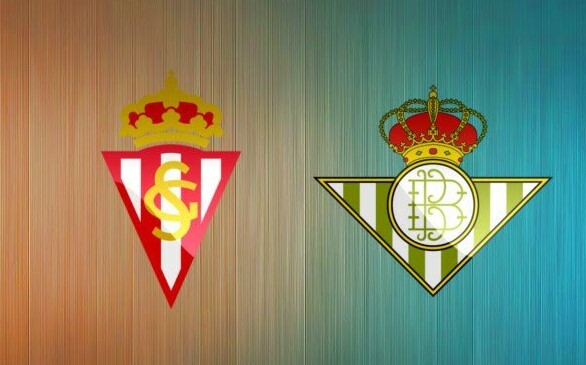 The final score of the match is Sporting Gijón 2 – 2 Real Betis.